You get that error on an EXPORT process? You generally see errors like that on an Import. If it was me I'd pull up the query and run the export to excel command and check out what didn't make it over. That may help you eliminate the error in a way that the fields aren't lost. I like your docmd.setwarnings false. that worked for me. Basically the query i need to transfer has got lots of function on each column because of this function it shows #Error on the query wherever there is no values. but when I transfer this query data set into excel, i can't find any #Error on it. 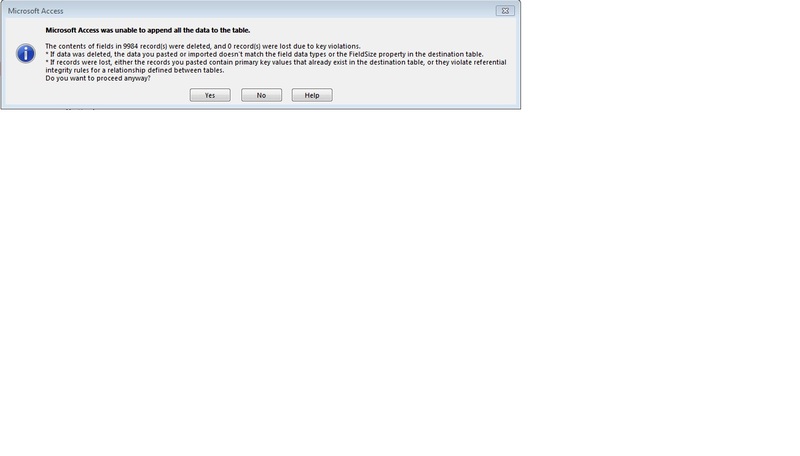 Only problem was vba throws warning message.